I love turkeys! Well…. I love all animals but turkeys specifically are sooooo wonderful, intelligent, yet misunderstood and terribly mistreated. Please look at the articles below for more information on these wonderful birds, the terrible conditions they are subject to and how they suffer for the Thanksgiving holiday. Male turkeys, called toms, love to feel noticed and admired. Toms on sanctuaries are known to follow busy human caretakers from chore to chore, standing off to the side, puffing out their exquisite feathers in a blast of scalloped ruffles, quietly and patiently waiting for the prospect of attention. This is also a great recipe I have made and super simple. Cauliflower is a wonderful and very versatile vegetable. To make the dressing, crush the garlic over a large bowl. Add the lemon zest, lemon juice, salt and pepper. Whisk in the olive oil. Set aside while you prepare the cauliflower. To start the cauliflower, preheat your oven to 450° degrees Fahrenheit. Remove the large florets from the cauliflower and cut them into even-sized pieces. Any of the very large florets can be sliced in half. Place the cauliflower into the dressing and toss to coat. To roast the cauliflower, line a baking sheet with parchment paper or aluminum foil. 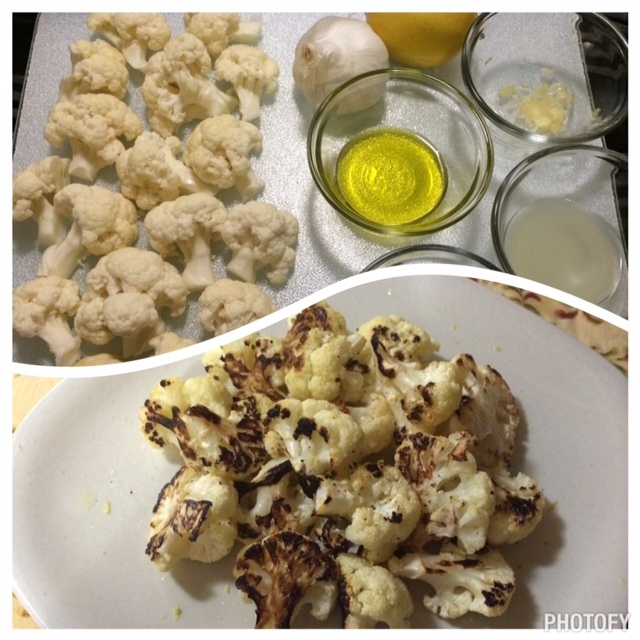 Lay any flat pieces of cauliflower cut-side down, so they caramelize nicely. Roast for about 10 minutes before tossing. Return to the oven for about 3 or 4 minutes or until it is almost cooked through. And, I just have to share this one. I recently took a Vegan Food Immersion with Vegan Fusion (it was an amazing experience and will share more about this soon) and we made this incredible Onion Gravy. This would be excellent on mashed potatoes or you could even try it over biscuits, pasta, rice or tofu. Yum!! You must try it! Place remaining tbsp of oil in a sauce pan on medium high heat. Add onion, mushrooms, and garlic and cook until onions are translucent, approximately 5 minutes, stirring frequently. Add water, nutritional yeast, tamari, sage, and bring to a boil, stirring frequently. Reduce heat to simmer, add roux, and stir constantly until sauce thickens. add salt and pepper to taste. 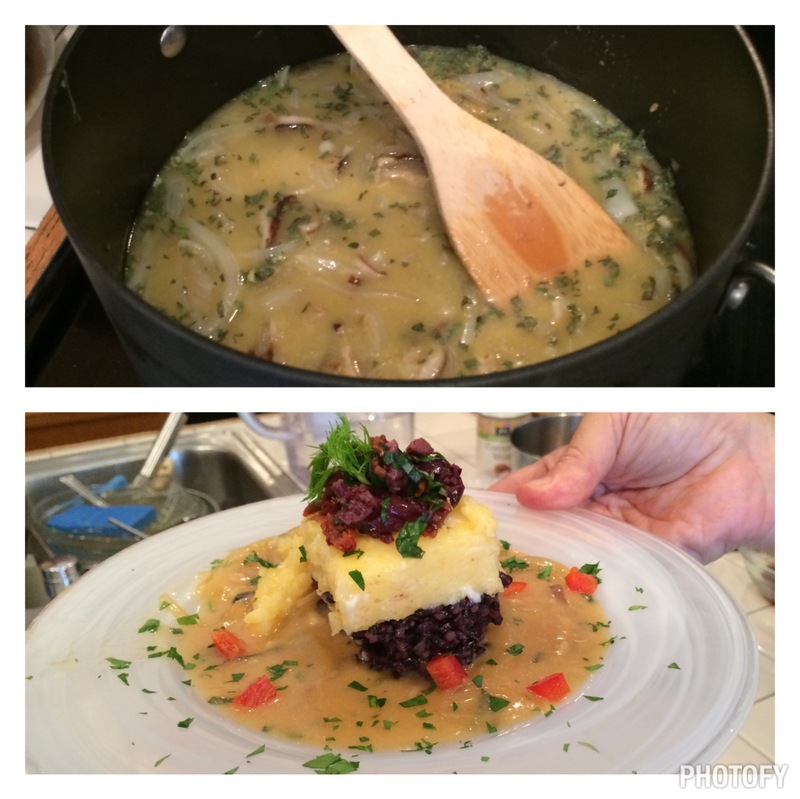 Another dish from the Vegan Fusion class, super healthy and delicious!! 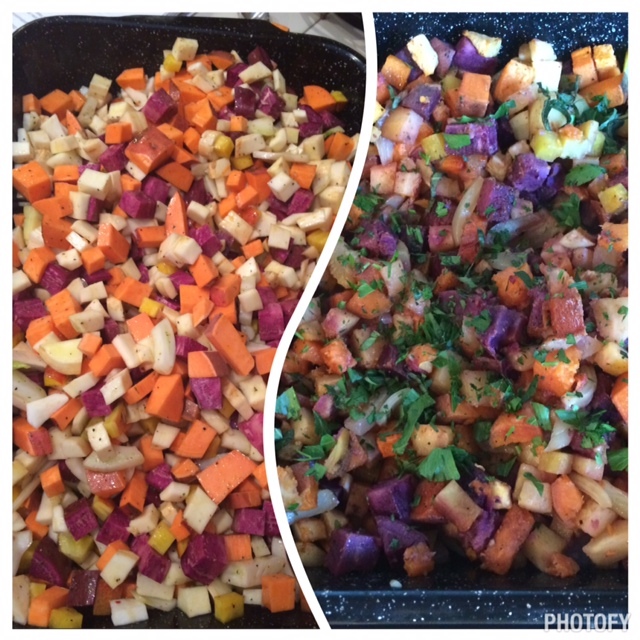 Preheat oven to 375° F. Rinse vegetables well and chop into 1/2′ cubes. Combine vegetables, oil, fennel, garlic, salt, pepper, and crushed red pepper flakes, in a 9″ x 13″ casserole dish and mix well. Bake until all vegetables are cooked through, approximately 45 minutes, stirring occasionally. Finally, as a reminder….. be sure to give some thought to and express what you are thankful for this Thanksgiving. Continue to express this gratitude for all our many blessings each day, year-round. This could change your life! Practicing gratitude on a regular basis has some amazing benefits to your physical and mental health. This entry was tagged Brussel Sprouts, Cauliflower, Cruelty Free, healthy recipes, Onion, Onion Gravy, Root Vegetables, Thanksgiving, thanksgiving recipes, turkeys, vegan, vegan recipes. Bookmark the permalink. Your posts are both entertaining and inspiring. I am eating far less meat than before, and appreciate the leadership you provide in living a cruelty-free lifestyle. Bravo! You bet. Cruelty free is important, and it’s so rewarding, like a little personal victory. Keep up the great work. Send me an email to work if like; would like to catch up about that too. Your blog is awesome. Will tell Kirin hi for you!